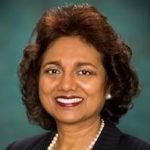 By Connie M. McCaffrey Providers were already preparing to deal with dwindling reimbursements. Now they are looking even harder at how real estate can boost revenues, cut costs and increase efficiency – no matter what regulations might come out of Washington. Cover Story: Who are the biggest outpatient HRE developers? Cover Story: What’s in your wallet? 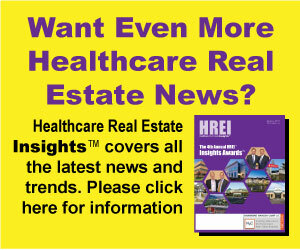 What will it mean for healthcare real estate? By John B. Mugford Imagine for a moment that you are the CEO of a health system. Everything you’ve done throughout your career, everything you’ve accomplished for your organization and every promotion you’ve achieved has elevated you to the pinnacle of your profession. MILWAUKEE – Even though officials with Physicians Realty Trust say they are being careful about not making too many MOB acquisitions, they continue to see buying opportunities that, at least some of which, they believe are in the best interests of the company to complete. Cover Story: Who’s selling MOBs? The answer might surprise you By Murray W. Wolf One record after another has fallen during the past few years as medical office building (MOB) sales volume moved steadily along a upward curve. Today, although MOBs seem to be as popular an investment as ever, some of the most prodigious buyers are becoming net sellers.